The annuity market is constantly evolving to create new “multi-tasking” products, and along with them, confusion. Historically, the word annuity meant one thing: an exchange of money today for a stream of steady payments in the future. There was some room for customization, such as choosing when payments would start (now or later), and how long they would continue (set period or for life). The primary function that these annuities served – and the reason why an insurance company was the one issuing them – was to protect against longevity risk, or the possibility of running out of money late in life. By promising to continue payments until death, income annuities still offer this classic, simple, and crucial protection today. Effectively providing this type of protection means losing control of the assets you convert to an annuity. Income annuities are illiquid, meaning the only access you have to your money is through the scheduled income payments. From the insurer’s perspective, limiting access allows them to provide coverage at more favorable rates. But, some consumers find this discomforting. Enter new, “multi-tasking” products, such as variable annuities (VAs) and fixed indexed annuities (FIAs), which claim to offer longevity protection along with liquidity and upside potential, all in one product. But…do they do these things well? 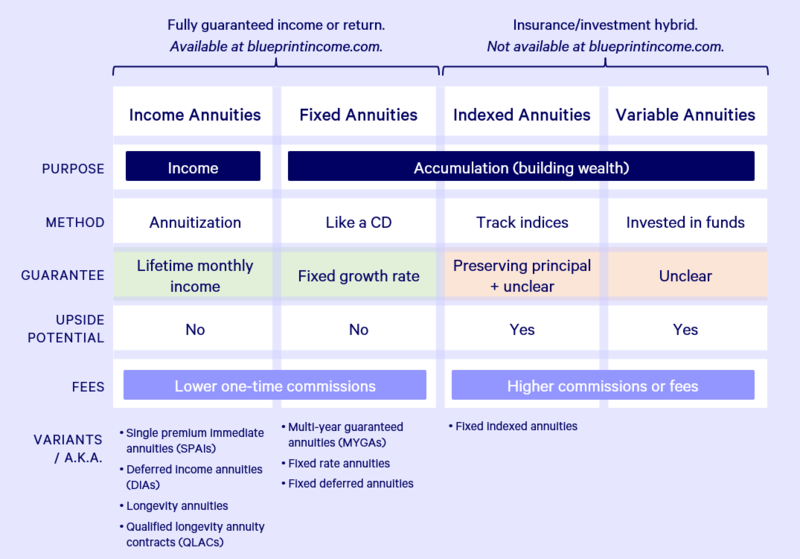 In this guide, we’ll explain how indexed annuities work, why we don’t offer them at Blueprint Income, and what your other options are for creating a secure retirement. To have a copy of this guide to read at your leisure, download the free Indexed Annuity Guide PDF. Before we explain how indexed annuities work, it’s useful to go back and define what an annuity is at its most basic level. Technically, an annuity is a financial vehicle where a lump-sum amount is exchanged for a stream of guaranteed payments going forward. Most commonly, the guaranteed payments continue for as long as you’re alive, demanding insurance company backing. While some annuities are designed to do this and only this, others have been created to offer other types of guarantees and investment opportunities. The result is that you have many products that are called annuities – all with at least the option to create a lifetime stream of income – with very different guarantees and value propositions. In general, the existence of upside potential, or the ability to benefit from good market performance, reduces the value of the guarantee. The reverse is true as well: the more valuable the guarantee, the less attractive the upside potential. Importantly, products that have a relatively low-value guarantee and are issued by a lower-rated insurance company tend to be less useful in a well-diversified financial portfolio because they tend to look similar to market-based products like ETFs, mutual funds or bond funds with financial risk that is nearly as high and fees that are generally much higher. With that overview in mind, let’s dive into the indexed annuity. An indexed annuity (a.k.a. fixed indexed annuity or FIA) is a tax-deferred retirement savings vehicle that provides the guarantee of a fixed return plus the potential for a higher variable return based on market performance. The structure of a FIA is based on that of a simple fixed annuity, known also as a multi-year guaranteed annuity (MYGA), so let’s start there. Fixed annuities (a.k.a. multi-year guaranteed annuities or MYGAs) are very similar to CDs. With a fixed annuity, you can invest your savings over a specified time horizon (typically 3 to 10 years), earning a fixed return. Fixed annuities are issued by insurance companies instead of banks and typically offer higher guaranteed interest rates, as well as the ability to be converted into a lifelong stream of income. The latter is what makes a fixed annuity an annuity. Also differing from a CD, the interest earned in your fixed annuity is not taxed until withdrawn, but the withdrawal needs to happen at age 59½ or later. That’s because fixed annuities, along with all annuities, are meant for retirement. Current rates offered on fixed annuities can be found here. 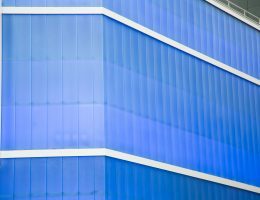 The structure of an indexed annuity is based on that of a fixed annuity, as it also offers a guaranteed interest rate over a set period of time. In addition, it offers you the opportunity to participate in the market by investing your funds across various indices. So, if the market does well, your money could grow at a higher rate than the guarantee. But, if the market doesn’t do well, your money will still accumulate at the guarantee. This upside potential and promise of not losing money comes at a cost. First, the guaranteed interest rate will likely be lower than that of a comparable fixed annuity. Second, the upside potential you’re offered by investing in indices is severely limited by “caps,” “spreads,” and “participation rates.” These are all ways the insurance company takes a portion of your account growth in the good years to cover the costs they incur in meeting their guarantees in the bad years. We’ll dive into these in more detail later on. Indexed annuities also offer optional riders to create guaranteed income streams, like those available through income annuities. These are typically called Income Riders or Lifetime Withdrawal Benefits, and they come at a cost. In exchange for the potential to convert your assets into a permanent, lifelong income stream, you will be charged an annual fee and also essentially give up the liquidity that made an indexed annuity look attractive in the first place. We’ll also cover how this happens later. riders (that might provide income in the future or a death benefit). Recently sales of indexed annuities have boomed. This has been led by a combination of several factors. First, those with fresh memories from the 2008 financial crisis liked the idea of a product where you can’t lose money. Second, low interest rates have made income annuities and fixed deferred annuities look relatively less attractive in recent years. Third, those who have witnessed the bull market from 2009 through today want to participate in the upside. Lastly, and quite importantly, they typically offer higher commissions to the distributor (agent, broker, financial adviser) than other annuities. In the table below, we provide a quick overview of the differences between popular annuities. Indexed annuities are often pitched as products with upside potential, no downside, liquidity, and the option of guaranteed income for life. But how exactly do these products provide you with all of these promises? When you choose to purchase an indexed annuity your premium is invested in different funds that track a stock market index (often the S&P 500). The growth of your accumulation value (i.e. your cash balance) is based on the underlying indexes that you choose. However, your upside is limited through features called participation rates, caps, and spreads. Participation Rate: This is the percentage to which you participate in the upside of the index. For example if your participation rate was 80% and the index was up 10% that year, your accumulation value would only have access to 8% of that growth. Cap: A cap sets the maximum amount of growth you can get for any increase in the index. For example if there is a 5% cap and the index was up 10% that year, you would only get the benefit of 5%. Spread: A spread is the fee applied to any growth in the index. For example if there is a 1% spread and the index was up 10% that year, you would only get the benefit of 9%. One additional complication is that each index your money is invested in can have more than one of these features. Meaning you could be subject to participation rates, caps and spreads at the same time. The effect is a dramatic reduction in your upside potential. If the market takes a tumble, many indexed annuity products promise that you won’t lose money. Generally that is the case but if you have any additional riders added to the policy (like a guaranteed income rider) your account is still charged that annual fee. There is a fee associated with this rider. Depending on the insurance carrier, the fee to have this option can be as high as 1.5%, charged annually as a deduction to your account value. The income may not last your entire life. If you ever take a distribution above the allowed amounts from your policy or decide you want to access the accumulation value once income has started, your payments are no longer guaranteed for life. That means that you can only access market-based growth in your policy by sacrificing your lifetime income stream. The income reduces your accumulation value over time. 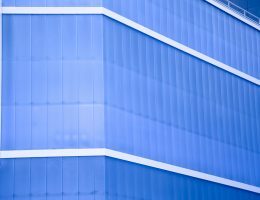 Once your policy begins paying you guaranteed lifetime income, the accumulation value (i.e. how much cash you could access) reduces over time. Once your accumulation value has reached zero, assuming you have not made any extra withdrawals, your income would continue but you would have no other value in the policy. During the early years, you’ll pay a surrender charge. Depending on the carrier and the year of your withdraw/surrender, you could be charged somewhere around 10% of your account value. Withdrawals erode the Income Rider benefit. If you’ve added an income rider, it will never be financially advantageous to take withdrawals beyond the stipulated income amount. Doing so reduces your income benefit (which you’re paying for via an annual fee) and could mean that the income would no longer continue for life. So how do you compare an indexed annuity to other options available? The best way is to look at an example that compares these options over a historical period. To compare these two options, let’s use Adam as an example. Adam, 55-years-old, is considering investing $100,000 in an indexed annuity. His goals are to (1) create a guaranteed income stream starting at age 70, and (2) grow his funds by participating in the market. Option 1: Buy a $100,000 indexed annuity with a Guaranteed Lifetime Income Rider starting at age 70. This rider will produce an income benefit of $11,000 per year. Option 2: Spend $77,000 to buy a longevity annuity that produces an identical income stream, and leaves the rest of his money in the market. For this analysis, Option 1 will be based on the Lincoln OptiBlend 10 with the Guaranteed Lifetime Income Benefit with rates as of 11/28/2018. Option 2 uses the Lincoln Financial Deferred Income Solutions with Cash Refund with rates as of 11/28/2018, along with the Vanguard 500 Funds which tracks the S&P 500 and charges a 0.05% annual fee. For both scenarios, the first 10 years will be based on historical S&P 500 performance between 2008-2018, after which a conservative assumption of 4% growth is used. So how did each of these strategies do over time? First, let’s compare the income benefit available. The guaranteed income generated by each of these two strategies is exactly the same: $11,000 per year starting at age 70 and continuing for as long as he’s alive. For the longevity annuity in Option 2, there is absolutely nothing he can do to risk or lose this benefit. But, for the indexed annuity in Option 1, any withdrawals made above the allowable amount will substantially reduce the guaranteed income benefit and cancel the guarantee that it continues for life. For the indexed annuity in Option 1, there is also an opportunity for the income benefit to increase if the accumulation value grows to be greater than the guaranteed withdrawal base. If this is the case on a policy anniversary, the guaranteed withdrawal base would “ratchet” up to meet the accumulation value. This would also mean a higher income benefit. This is extremely unlikely to happen. Next, let’s look at the growth of the assets. For Option 1, this is the same $100,000 that’s invested in the indexed annuity, which is supposed to provide access to market upside and produce a guaranteed income stream. For Option 2, this is the $23,000 leftover from the longevity annuity purchase that can be invested directly in the market. The following chart shows the annual return for the funds invested from ages 55 to 70 using historical S&P performance from 2003 to 2018. Fixed indexed annuity performance modeled using the Lincoln OptiBlend 10 with the Guaranteed Lifetime Income Benefit. Market portfolio modeled using historical S&P performance from 2003-2018. Market Portfolio modeled using the Vanguard 500 Funds which tracks the S&P 500 and charges a 0.05% annual fee. The performance of the S&P market portfolio was strong, while volatile, averaging an 8.1% annual return. While much steadier, the indexed annuity accumulation value grew only 0.9% per year during this period. The vast majority of growth was not captured by the indexed annuity due to the mixture of participation rates, caps, spreads, and fees. While the indexed annuity did not experience any decline in value during bad years, a significant amount of market upside was lost over the 15-year period. And lastly, let’s take a look at how the indexed annuity accumulation value compares to the market portfolio. The chart below compares the two accounts using historical returns for the first 15 years (accumulation phase), and projected returns thereafter (withdrawal phase). The market portfolio more than doubled in the first 15 years, benefiting fully from the index’s growth (offset only by a minimal 0.05% investment fee). In comparison, the indexed annuity accumulation value, which was invested in the same underlying index, experienced growth of only 14% after applying the participation rates, caps, spreads, and fees. The market portfolio continues to grow indefinitely, whereas the indexed annuity accumulation value begins to decline once income benefits begin at age 70. From that point forward, there’s no potential for growth, and instead just charges against the account for each withdrawal and for rider fees. 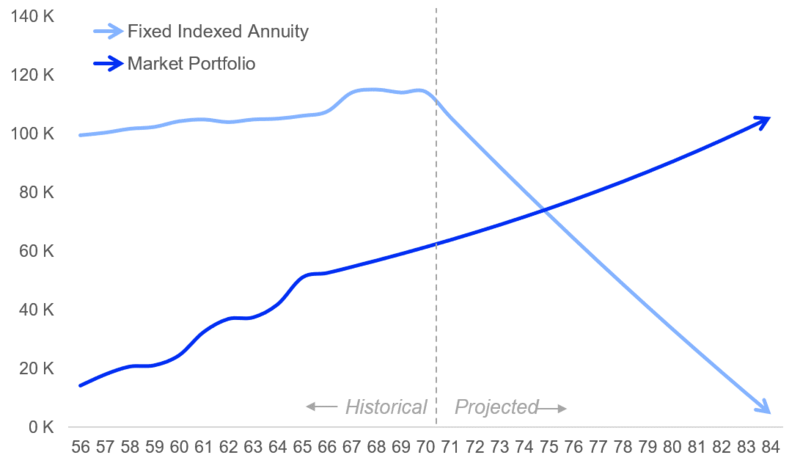 In this example, all of the indexed annuity accumulation value is depleted by 85. In every category above, Option 1 underperforms Option 2, that is the indexed annuity provides an inferior outcome to using a longevity annuity and a market based portfolio. In fact, no matter what the goal, indexed annuities are typically an inferior solution. Generating Income – For the same investment, indexed annuity generate less income than a pure income annuity, like a longevity annuity. 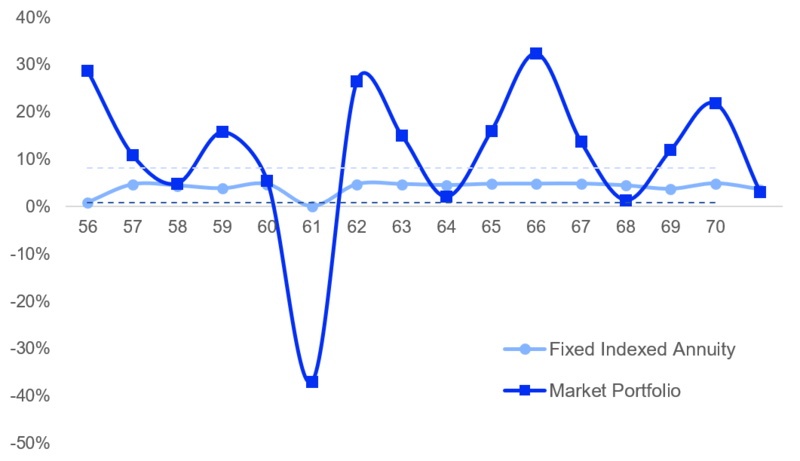 Market Upside – Indexed annuities limit your gains through participation rates, fees, and caps. In comparison, investing directly in an S&P index costs as little as 0.05% per year. Maintaining Some Liquidity – Indexed annuities limit your access to funds in early years, and all withdrawals won’t make sense because you’d substantially reduce, or even eliminate, your income benefit. In trying to cover three objectives into one product, the indexed annuity winds up being costly, complicated and suboptimal. If you are looking for an income stream and market upside, in the long-run you’re better off purchasing an income annuity and leaving the rest in a low cost market portfolio. At Blueprint Income, we only sell annuities for their guarantees, never for their potential. So stick with low-cost diversified funds for market upside and income annuities for a guaranteed paycheck for life. Is an indexed annuity right for you? The short answer is probably not. There are at least four reasons to be leery of purchasing an indexed annuity. Ratings: Indexed annuity providers tend to not be as highly rated as income annuity providers. No large fixed indexed underwriter has an A++ rating, while the largest income annuity underwriters do. If you are looking for a highly rated carrier, Allianz is the leading fixed indexed underwriter and rated A+ by A.M. Best as of the time of this writing. Generating Income: If you’re looking to create a source of lifetime income, you’ll do better by taking a smaller portion of your money and buying a longevity annuity because income rates are higher. Market Upside: If you’re looking for market upside, the participation rates and caps mean that in most years you’ll have done far better with your money in the market. A well-diversified portfolio for someone nearing or in retirement should have both guaranteed income and market upside, but it’s not necessarily the best idea to have both attributes with one product. Doing so can make the products complex and almost impossible to compare. Regulation: The Department of Labor has tried hard to reform the “investment advice fiduciary” rules in a specific attempt to discourage indexed annuity sales, while treating simpler fixed and income annuities much more favorably in order to promote adoption. There’s a lot of appeal to the marketing message for indexed annuities — market upside with no downside. But here’s the reality — if you want market upside, be in the market with low-cost index funds or mutual funds. If you want protection from market downturns, supplement the market part of your portfolio with simple income annuities. Don’t try to do everything with one product because you’ll end up with a product that doesn’t do anything well and is most likely relatively expensive. The Department of Labor’s efforts to reform fiduciary standards have not been successful to date, so in the meantime proceed with caution. Make sure you understand how the indexed annuity you’re considering works, how much guaranteed income it provides, and what the credit rating is of the insurer selling the product.